As part of the Decathlon Bloggers' Community, I was very happy to take part in their recent #sportforeverybody campaign. We wanted to demonstrate that anyone, no matter what there size or shape, is able to over their body in a way they enjoy. Most people think running is how they should get fit, but they actually don't like running. One of the concepts I try to get across here on my blog is that you need to do what you love. Of course, you need to be a bit brave to try something new (and maybe a bit wacky) but you never know unless you try. This concept doesn't just apply to sports, in my opinion, but also for going on adventures. I have been so blessed that 2018 has been a big year of adventure for me. I climbed Mount Kilimanjaro and ran my first ultra marathon, which happened to be in a desert (race review coming soon). I also tried camping at a running festival in Wales and attended a yoga festival too. Turns out when you try new things, you need the equipment to go along with it. Because I wasn't sure if I would actually enjoy all of these new experiences, I didn't want to invest too much in the kit and supplies. When selecting what to invest is (vs borrow or hire), I reviewed the recommended packing lists and then made selections based on what I know about myself. Inside of my 3-person black out tent. Sleeping bag and borrowed mat on the right. All my kit and foot on the left. When planning for your adventure, consider if you are usually hot or cold. Me? I am always cold so it was worth it to me to invest in warm things. For example, I wanted to own a sleeping bag rather than borrow someone else's (who knows the last time it was washed?). My Forclaz Helium sleeping bag* was warm enough for normal people to be out in 0 degree weather. 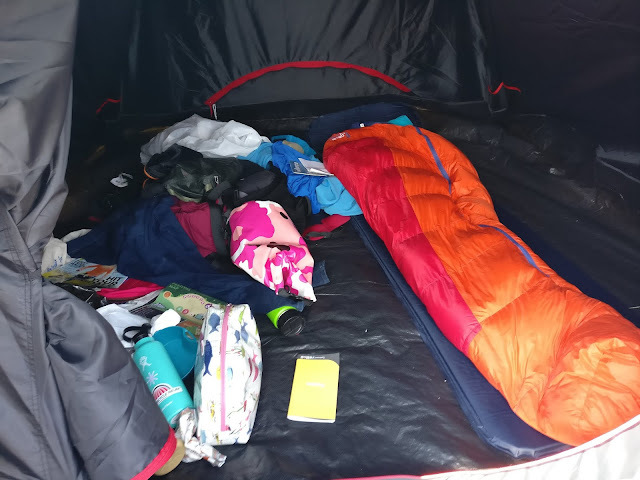 I know myself, so I also used a sleeping bag liner* when camping in Wales and on Mount Kilimanjaro, which meant I was snug as a bug in a rug in these extreme (for me) temps. Then I used the liner by itself (instead of my sleeping bag) when camping in the desert. I also packed it as an act of desperation in case I couldn't find a place to sleep in JFK airport during a 9 hour layover. Sleeping bags are something I would recommend investing in due to hygiene and maintaining a suitable body temperature. Nowadays, sleeping bags pack down small so they don't take up too much storage space. In case you hadn't guess, I like sleeping but am a light sleeper due to various factors. I need to make sure I a comfortable no matter where I am (except I'm the car. I have no trouble falling asleep there). A sleeping mat or inflatable mattress is something that not everyone will need so it is a good thing to borrow from a friend. If you are travelling solo, a sleeping mat is a good option but can still be a bit bulky to carry. 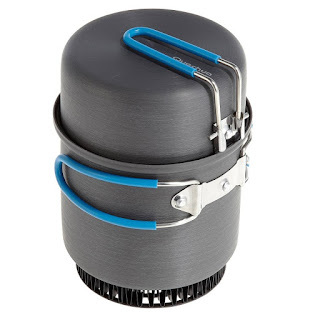 If the ground won't be too rocky or cold, you might not even need it. We now have an air mattress* for when I go camping with my husband. It helps keep us insulated from the ground and we don't need to be spend too much time selecting the perfect place to pitch our tent. We had some friends visit last month and they used it in our living room as our normal inflatable mattress had a leak. The Quechua Air Comfort mattress was super easy to inflate with the built-in foot pump. Even though it wasn't very thick, my friends said it was comfortable and warm. Again, it depends on how light a sleep you are and how much space you have if you need to invest in one or borrow from a friend. My husband needs complete darkness to sleep, no matter where he is. It wasn't until a friend mentioned waking up with the sun at Love Trails Festival, that I realized how amazing our Quechua black out tent* is. No long are we at the whim of sunrise when camping. We can sleep as late as we want! It is also great having a zippered 'porch' to store our shoes, which keeps the inside of the tent clean. The waterproof bottom goes about six inches up the sides as well, ensuring dry kit on the rainy days. A tent is something you can also borrow from a friend but if you start to go on adventures more often, it would probably be easier to have it on hand for last minute escapes. Having a few cooking/eating containers is a good idea. It is always best be prepared for any adventure at any time. You will always need to eat when you are out exploring. I highly recommend a multi purpose pot* (as above) to cook food in or prepare overnight oats. 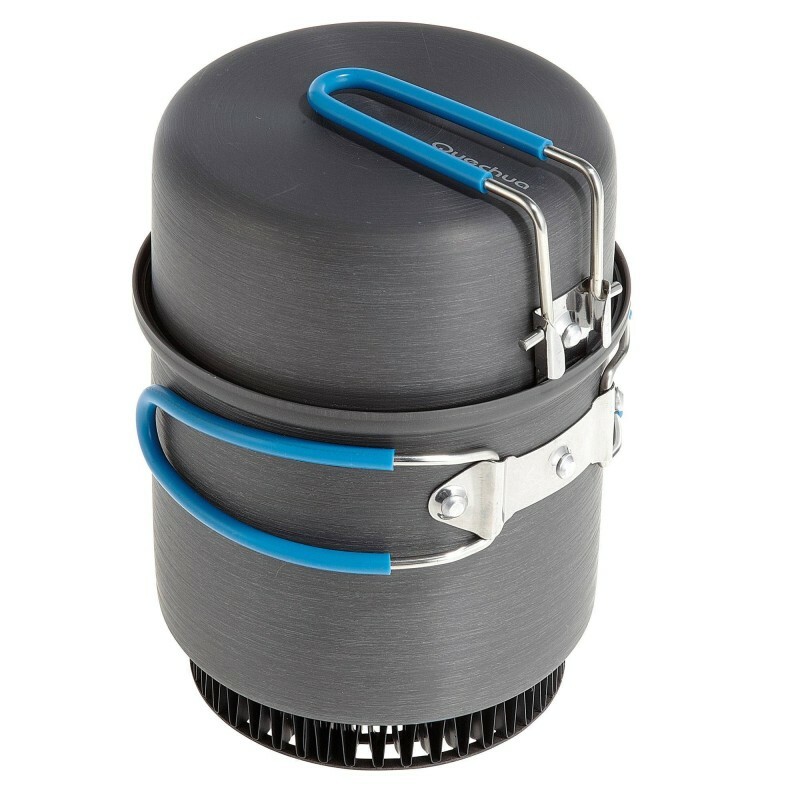 This one also fits on my camping stove, which is fantastic. I also have a handy thick plastic bowl that doesn't conduct heat, making it easy to hold when the foot is piping hot. This insulated mug was it was on my list of required kit for my ultra. I never used it though because I don't drink coffee or tea. It is handy to have in London for hot chocolates on cold days as we are making more of an effort to carry our own hot drink cups. I already carry a stainless steel water bottle with me at all times. It isn't an adventure without have to use a compass,* right? Decathlon's basic model is on a lanyard with a transparent background to allow for map reading and orienteering. My husband, a geographer by training, was super excited when I brought it home. 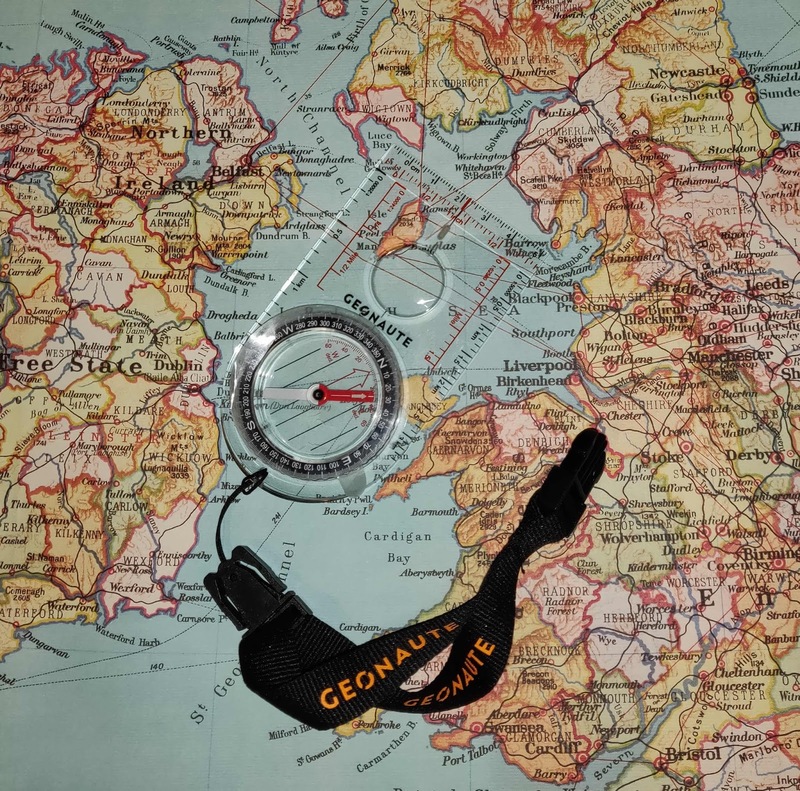 If you are just starting out with adventures, you might be able to borrow a compass when you need one but they are inexpensive and small so why not get one and practice your map reading skills? If there are maps involved on your trip, definitely have one. Your mobile phone won't always have reception or battery power. You might have to go old school. Just because I did some pretty crazy trips abroad this year, don't think you need to do the same to be on an adventure. Micro adventures, such as camping in the backyard and going on a long walk that ends in a pub, are equally exciting. I like to think adventures take you into unknown or unusual situations which might even be outside your comfort zone. It is here that you will find personal growth. Also, remember you don't have to go solo. If you would rather have someone else figure out all the details, signing up for an adventure with a tour group is a great option. In my opinion, it still counts as an adventure. And it saves you a lot of hassle and headaches if someone else plans the logistics, knows the area, and can advise you on how to prepare. Why make things harder for yourself as you build your confidence in trying new things? You will meet a bunch of new people on the trip who are interested in the same things you are too. I hope my suggestions on what kit you need to own versus borrow have inspired you to get out there and find an adventure! Remember, if you need some inexpensive but quality kit, definitely check out Decathlon. Their stock tends to be seasonal so keep that in mind if you are planning head. If you don't have a lot of room for new kit or don't have a friend with what you need, Decathlon also hires out kit and has a 365 day return policy. Getting a car to carry everything might be the only obstacle to overcome. (I am serious. I will never go camping via public transport again). What is a piece of adventure kit that you can't live without? What do you tend to borrow? Leave a comment below and let me know. Thanks to Decathlon get for gifting me the items marked with a * as part of their Bloggers' Community. Items linked without an * are items I bought from Decathlon. All opinions are honest and my own.